ASUS VH Series monitors are the ideal choice for performing nearly any PC task with amazing Full HD visual clarity. All VH Series monitors feature built-in speakers for convenient, clutter-free audio connections directly from the monitor. Upgrade your computer’s visual output with the sleek and high-functioning ASUS VH238H LCD monitor. The display is highly regarded for its jaw-dropping features that ultimately results in a beautiful LCD-display during each use. This computer monitor offers a slim and fashionable design, evoking a futuristic feel. 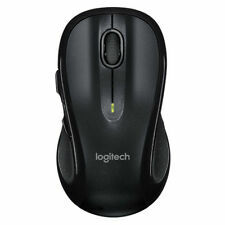 Users will enjoy the diverse connectivity options and the overall classic & ergonomic design. Offered in a widescreen, 23-inch setup, the ASUS VH238H offers a perfect 1920 x 1080 resolution and a viewing angle up to 170 degrees. Technology enthusiasts will enjoy the super quick refresh rates of this monitor, offering a 31-79 KHz horizontal refresh rate and a 56-75 Hz vertical refresh rate. The sleek black finish offers a robust and fresh look. The device is fully equipped with advanced technology to bring out the best graphics possible. It makes use of integrated backlit LED technology, offering increased brightness and contrast still while offering a reduction in eye strain. Fully assimilated with the backlight LED software, this monitor offers ASUS Splendid Video Intelligence Technology. which automatically optimizes the display for image quality and perfect settings to show the best results possible. The screen itself is an HD, 1980P monitor with a 16:9 widescreen aspect ratio. It offers HDMI lossless transmission between electronic components. Those interested in viewing a lifelike display will enjoy the Asus Smart Contrast Ratio component. This essentially adjusts the luminance of the backlight to bring out the most realistic image possible. The device offers a 50,000,000:1 contrast ratio, ensuring the most realistic depictions in any environment. Additionally, this device is built for speed, offering a blazing fast 2ms response time. This effectively eliminates ghosting and tracing from fast-paced video games or movies. The Asus VH238H LCD component is compatible with most environments, offering input video compatibility for Analog RGB as well as Digital. Depending on an individual’s needs and preferences, the screen allows users to adjust this LCD-display either +20 or -5 degrees. Users can equip this device to their current setup using the D-Sub, DVI-D, or HDMI port with support for HDCP. This LCD display comes packaged with an included DVI cable, VGA cable, Audio cable, Power cord, and a Quick Start Guide. Any user can easily change the monitor settings, change visual presets, or change to their desired input selection by using the front-facing buttons. The built-in LCD display allows you to easily navigate the interface. Asus’s VH238H offers very low power consumption. It uses only 23.1 watts when on, 05 watts when on Power Saving Mode, and less than .05 watts when completely powered off. Individuals who are looking to save space on their desk will thoroughly enjoy the integrated speakers. They offer crystal-clear audio through the monitor itself. More specifically, the device includes 2X 2-watt speakers to bring your computing experience to a completely new level. Additionally, the device is VESA compatible, offering the freedom to mount this monitor on the wall easily. When shipped, this LCD display arrives weighing roughly 9.5 pounds and arrives in the following dimensions: 8.66 inches by 21.66 inches by 16.35 inches. For the price, this is a great buy! You won't be disappointed! All in all price, performance and looks are Grrreat. As with most ASUS products it's Grrrreat! The screen modes are very different not like some that say they have modes. Changing modes is very easy & the touch capabilities instead of buttons is very nice. Internal speakers are ok. The one inch difference of the 23 inch screen compared to a 24 incher is hardly worth mentioning. Anti glare is great I wish all screens came that way - should be a standard. I will be buying another as money allows for the replacement of my other monitors. Very good affordable 60hz monitor. Awesome working product. 23in is my preferred screen size, even over 24. Low input lag and very responsive to commands on xbox or PC. Great monitor for the price, couldn't be happier! Will be buying from again.